Bennett Awards is a creative sculpture studio specializing in unique, premium recognition awards. We offer both custom awards designed specific to your needs, and pre-designed sculpture awards that can be personalized for your recipients. In both cases, our high-quality recognition awards are handcrafted works of art that will inspire your recipients, enhance your event, and reinforce your brand. 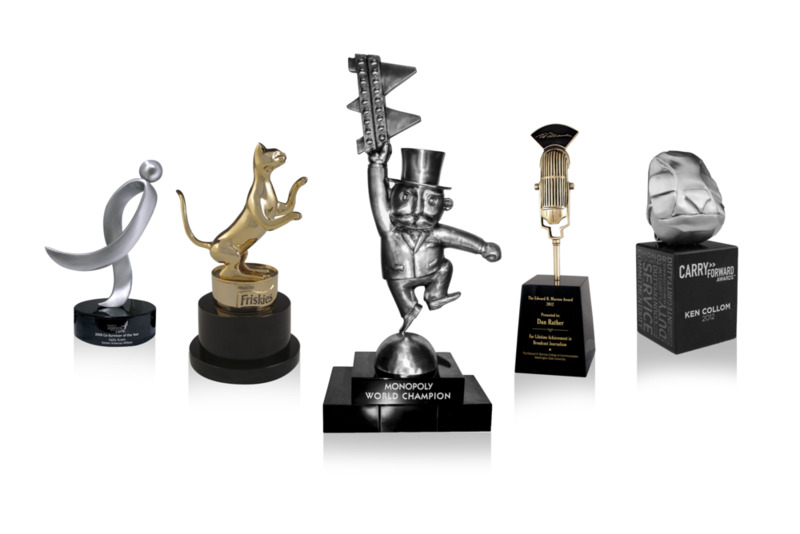 We specialize in creating new custom award and trophy designs that are tailored to your specific requirements. Innovative & Creative! We offer a broad selection of unique, high-end recognition awards in a variety of designs, sizes and materials. Handcrafted & Artistic! We work with a world-class set of clients, but treat every customer – large and small – like family. We are laser-focused on providing outstanding customer service, and the proof is in the pudding – take a look at our testimonials to see what our customers have to say. Bennett Awards has been in the fine art and awards business for over 40 years. Unlike mass-produced plaques and trophies, our unique awards are handcrafted works of art that your recipients will proudly display for many years. We offer a broad selection of high-end recognition awards in a variety of designs and materials. We also specialize in creating new custom award designs that are tailored to your specific requirements. In either case, our artistic sculpture awards are sure to inspire your recipients, enhance your event, and reinforce your brand.